Do Dogs Need To Wear Dog Shoes? Dogs have lived without shoes, shirts, or sunglasses for thousands of years. 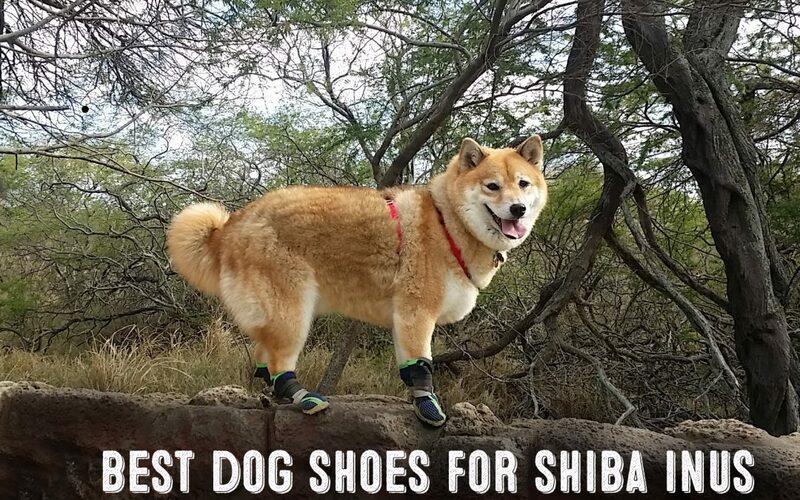 So, no, most dogs do not "need" shoes on a normal basis. Good quality dog shoes, however, are useful to have in certain situations and conditions. Out of these conditions, hot asphalt has the most potential to harm your dog's paw pads. On a sunny 77 degree day, the asphalt on the ground can reach 125 degrees or more. A dog's paw pad normally toughens up as a dog ages and gets exposed to various ground conditions during walking, running, and play. Some indoor dogs, however, have soft paw pads due to low exposure to natural outside conditions. It would not be advisable to suddenly take dogs with soft paw pads on a long walk or hike - especially during hot weather. ​Most dog shoe manufacturers sell dog shoes in quantities of four. Sounds perfectly logical for the most part. However their is a major issue with this. Most dogs have two larger paws in the front and two slightly smaller paws in the back. ​So if you buy from a company that sells four dog shoes in the same size, you will likely be stuck with two dog shoes that don't fit perfectly. This is a big problem because dog shoes that don't fit well - don't stay on your dog. The good news is that a small, select number of dog shoe manufacturers are aware of this issue. These companies will either sell their dog shoes in pairs or sell a set of four shoes with two of the shoes sized slightly smaller. ​In general, companies that take the time to ensure proper sizing of their shoes - produce a better dog shoe than companies that don't. ​It's not easy. Getting all four dogs shoes on your dog properly takes a bit of effort and finesse. Even though you choose the right sized shoe for your dog - if you don't put it on correctly, it will easily come off. ​The best method to put shoes on your dog is to have your dog in the standing position. While getting one shoe ready, get in a position that will allow you to lift your dog up a bit while placing the shoe on. While you are in the process of guiding your dog's first paw into the shoe, you want to try and lift your dog's other paws off the ground so that your dog places more weight into the shoe. By doing this, you will ensure that all of your dog's paw goes completely into the shoe. A lot of times, dogs will crunch up their paws in an effort to get out of the shoe. By lifting up your dog in the process, you force your dog to "uncrunch" it's paws so that it's entire paw gets properly placed into the shoe. When you are finished with the first paw, you must do the same thing to all the three other paws. T​his again isn't the easiest of tasks - especially with a squirming and uncooperative dog. With time and practice, both you and your dog should become accustomed to the procedure. T​o check if the dog shoe is on correctly, have your dog stand while you check to see how the fit looks. The shoe should look fitted without any bulging. Next, gently try to pull of the shoe to see how well it is holding. If it slips of too easy, take a breath and put the shoe on again. While there are quite a different number of dog shoe offerings available in sites like Amazon - there are only a tiny handful of companies that actually make quality dog shoes worth purchasing. The majority of dog shoe offerings are mass produced copies of one another with minor differences such as color and logos. These shoes might be okay for light duty situations but a major issue with these lower cost dogs shoes is that they simply don't fit very well and tend to come off too easily. Out of the many brands of dogs shoes - some expensive, some inexpensive - we found only two brands that produced dogs shoes worth investing your money as well as time into. 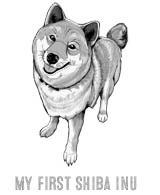 Our first choice is Neo-Paws, one of the original creators of dog shoes and a noted dog shoe supplier for various dog organizations around the globe. Our second choice is Canine Equipment dog shoes. 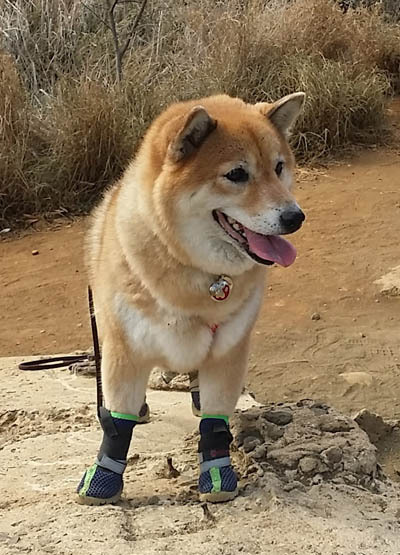 Their line of dog shoes fit well, and are easy to put on and take off. We​ tested other noted brands such as Ruffit, Kurgo, and Muttluks but were not impressed with their dog shoe offerings - especially at the price point they were offered as. Neo-Paws is among the first manufacturers to bring dog shoes into the market. Started in 1994, Neo-Paws has always focused on producing quality dog shoes that fit well and most importantly - stay on. Unlike many manufacturers that have simply "jumped on" the pet product bandwagon - Neo-Paws started out as a small Canadian company dedicated to making a quality dog shoe. All ​Neo-Paws dog shoe﻿﻿﻿s feature a unique two part fastening system that really help to secure the shoes onto a dog's feet. The first part consists of a layering system that wraps the opening of the dog shoe that closes with velcro. The second part consists of wrapping a lengthy velcro wrap around the shoe for additional security. This additional strap really helps to secure the shoe in place by allowing you to wrap all the way from the top of your dog's foot up until the middle of the dog's leg. This innovative wrap system is useful in being able to adjust to various dog legs sizes and shapes. Due to quality and durability of Neo-Paws shoes, programs like Guide Dogs For The Blind, U.S. search and rescue teams, as well as the Royal Canadian Mounted police use Neo-Paws on their canine teammates. This particular Neo-Paws dog shoe﻿﻿s are great to use in snow or wet conditions. The injection-molded rubber is extra durable and can be used on hot surfaces such as asphalt. For many years, this shoe was mainly available directly through the manufacturer based in Canada. Only very recently has the company expanded its sales onto the Amazon platform. ​Neo-Paws is one of the few dog shoe manufacturers that understand that most dogs have different front and back paw sizes. This is the reason that they sell their dogs shoes in sets of two. After taking careful measurements of both your dog's front and back paws, you can determine if you need to order two back shoes at a slightly smaller size. ​Selling their shoes in sets of two is actually handy for dog owners that may need to replace a shoe or two in the future. Additionally, some dog owners choose to only fit their dogs with shoes in the front since a dog's front legs take more of the brunt from terrain then the back legs. Check the latest price of Neo-Paws Performance Dog Shoes here. This is another style of Neo-Paws dogs shoes that are great for a variety of activities and conditions. This Neo-Paws dog shoe also features a new toe cap design that offers better protection for your dog's paws. The durable mesh fabric is breathable and water resistant. They can also be used for snow / ice protection - when extra warmth is not needed. These Neo-Paws dog shoes include the double fastening system that is designed into all of the Neo-Paws line of dog shoes. ​Like all Neo-Paws dog shoes, these dog shoes are sold in sets of two. It is very important to take proper front and back foot measurements before placing your order. Generally, most dog's back paws are a little bit smaller than their front paws. Check the latest price of the Neo-Paws Summer Mesh Indoor/Outdoor Dog Shoes here. These Canine Equipment Ultimate Trail Dog Boots provide good protection from hot surfaces, sharp rocks / debris, and snow. The fabric of the shoes is breathable and the rubber soles offer could traction. Canine Equipment is one of the very few dog shoe manufacturers that take into account that most dogs have smaller back feet. They sell their dog shoes in sets of four with two of them being slightly smaller for your dog's back feet. Overall, these shoes are well made and ergonomically designed. The main highlight of these shoes is the relative ease of putting the shoe on your dog. These low profile dog boots have a gusset opening and cinch closure that makes it much easier to put on compared to other similar dog shoes. Despite being easy to put on, these shoes stay on relatively well when sized and adjusted properly. Check the latest price of the Canine Equipment Ultimate Trail Dog Boots, Black here.